The fiction part is the deception. It works only so long as the social consensus is there to support it. The task of anyone who opposes the great conspiracy, then, is to reveal and expose the reality that is being covered up by all the stories of all the wonderful things that government does. The fiction is unsustainable in light of logic and evidence. The curtain must be pulled back. To my mind, the modern thinker who has best dissected the true nature of modern politics is Hans-Hermann Hoppe. He is incredibly clearheaded about modern politics, particularly the workings of democracy. It is a system of governance that was developed to give the people more direct control over the government; in fact, it has given the government more direct control over the people. I’m pleased to report that Laissez Faire Books is publishing his next book, a massive collection with the title drawn from Bastiat: The Great Fiction. It will be released in electronic form to members of the Laissez Faire Club. So it comes free as part of the subscription. As I’ve told many people, the Laissez Faire Club works like any high-end private club. Once you are a member, the drinks are on the house. And this book by Hoppe is one very stiff drink! Joining the club right now gives you all the books we’ve already released — plus movie shorts to go along with them and forums to discuss them — and this Hoppe book plus many others come once per week. It is an incredible deal by any standard, and the perfect way to defeat the great conspiracy. If you are unfamiliar with the work of Hoppe, prepare for The Great Fiction to fundamentally shift the way you view the world. No living writer today is more effective at stripping away the illusions most everyone has about economics and public life. Hoppe causes the scales to fall from one’s eyes on the most critical issue facing humanity today: the choice between liberty and statism. The whole of Hoppe’s writings on politics can be seen as an elucidation of Bastiat’s point. He sees the state as a gang of thieves that uses propaganda as a means of disguising its true nature. In fleshing this out, Hoppe has made tremendous contributions to the literature, showing how the state originates and how the intellectual class helps perpetuates this coverup, whether in the name of science, religion or the provision of some service like health, security, education or whatever. The excuses are forever changing; the functioning and goal of the state is always the same. The reader will be surprised at the approach Hoppe takes because it is far more systematic and logical than people expect of writers on these topics. I suspect that this is because he did not come by his views except after a long intellectual struggle, having moved systematically from being a conventional left socialist to becoming the founder of his own anarcho-capitalist school of thought. This particular work goes beyond politics, however, to show the full range of Hoppe’s thoughts on issues of economics, history, scientific methodology and the history of thought. In each field, he brings that same level of rigor, that drive for uncompromising adherence to logic, the fearlessness in the fact of radical conclusions. 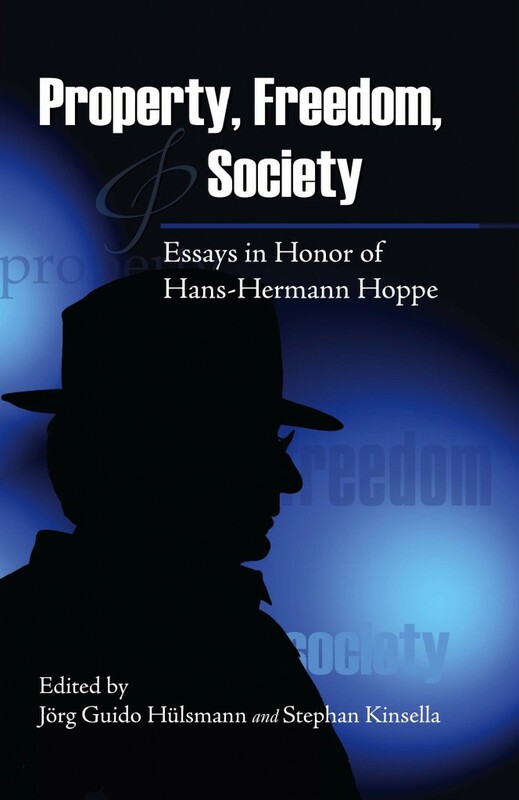 It seems too limiting to describe Hoppe as a member of the Austrian or libertarian tradition, for he really has forged new paths, in more ways than he makes overt in his writings. We are really dealing here with a universal genius, which is precisely why Hoppe’s name comes up so often in any discussion of today’s great living intellectuals. It also so happens that Hoppe is also an extremely controversial figure. I don’t think he would have it any other way.Besides, this is always the case for truly creative minds that do not shrink from the conclusions of their own premises. The perspective from which he writes stems from a passionate yet scientific attachment to radical freedom, and his work comes about in times when the state is on the march. It is my great honor as executive editor of Laissez Faire Books to be the publisher of a work of this significance. 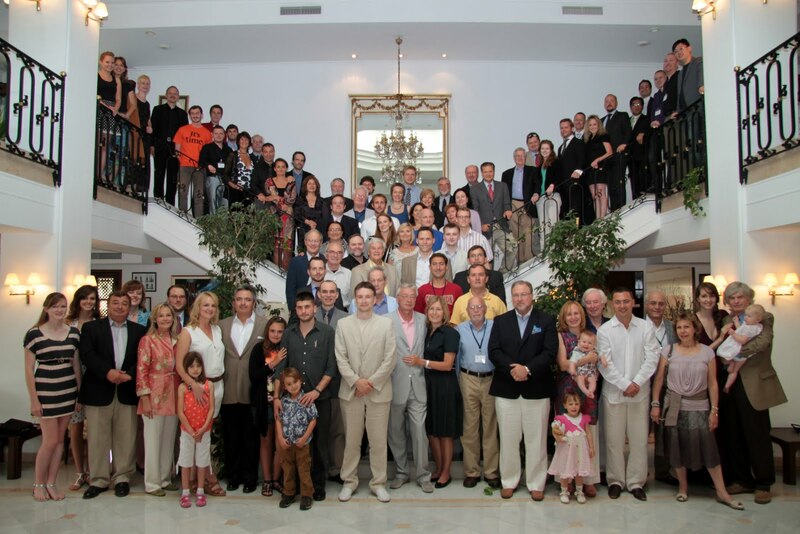 It is a testimony to the fact that progress in ideas is still possible in our time. So long as that remains true, so long as the tradition Hoppe represents is living and improving, we have reason to believe that human liberty has not and will not finally succumb to the great conspiracy. Next post: Neville Kennard, R.I.P.